Last week we told you about the new aquatic center coming to Frankfort. We didn't want to leave out the fine folks of Leitchfield! They have an aquatic center that is pretty awesome too, and it is already open, well it well be when it opens for the season. "Our aquatic center features a zero depth entry into our main 217,000 gallon pool. The zero depth entry also features a large splash and play structure. Our pool's depth slopes from 3 ft 5 inches to the deepest area (over the diving well) at 11 ft 6 inches. Our center also features a three story un-covered slide, plunging into the catch pool with a depth of 3 ft 5 inches. One of our most popular attractions is our winding lazy river. You can grab a tube (we provide tubes free of cost) and just let the current take you away. If you have small children, we have a separate tot pool reaching a depth of only 1 ft. Also in the tot pool there is an exploration water feature as well as a water frog slide." Admission is $7 for people 16 and older, $6 ages 6 - 15, $5 ages 3-5, and $2 ages 2 and under. Season passes are also available starting at $125 for a single membership and $225 for a family of 4. The aquatic center opens for the season on May 23rd. 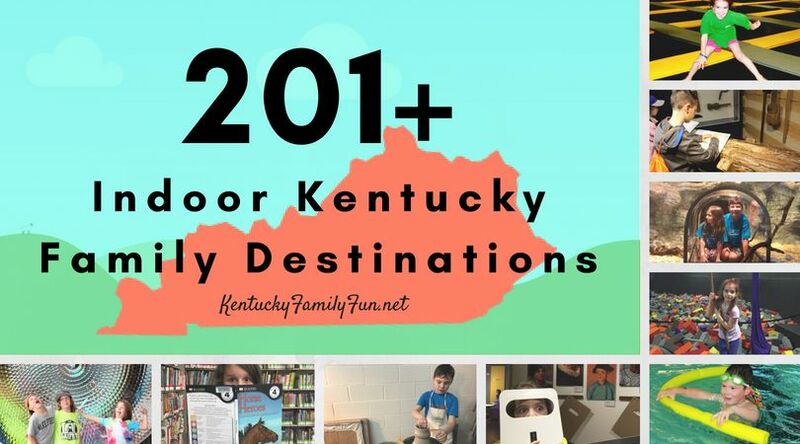 Kentucky Family Fun explores Shelby County! Shark Bridge at The Newport Aquarium. Lakes in Kentucky with lodging!